Indium Corporation will feature its halogen-free Indium8.9HF no-clean solder paste at NEPCON Japan 2017 on Jan. 18-20 in Tokyo, Japan. Indium8.9HF is specifically formulated to Avoid the Void®, while delivering high transfer efficiency with low variability. 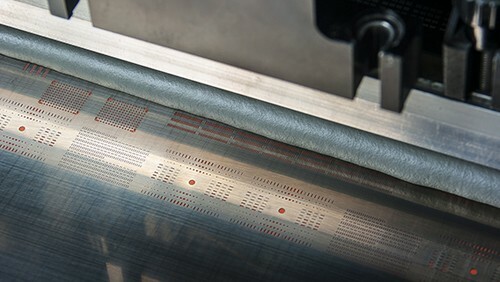 In addition to outstanding print transfer and response-to-pause, this no-clean solder paste remains stable at room temperature for up to 30 days. It can also be stored for up to 12 months at less than 10°C. Indium8.9HF provides a number of other benefits, including excellent pin-in-paste solderability and hole-fill, robust reflow capability, and a wide process window. Indium8.9HF is perfectly suited for a variety of applications, especially automotive, due to its unique oxidation barrier technology. Indium8.9HF Solder Paste is part of Indium Corporation’s family of high-performance, lead-free, low-voiding, no-clean solder pastes that help manufacturers to Avoid the Void®. For more information about Indium8.9HF, visit our booth W2-68, email askus@indium.com or visit www.indium.com/indium8.9series.